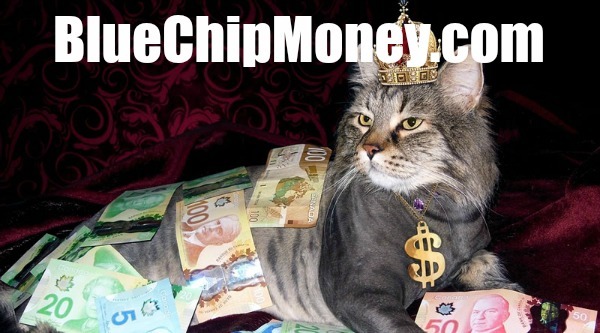 Millennium 7 Publishing Co.: Is YOUR Pet A Social Media Millionaire? Is YOUR Pet A Social Media Millionaire? Can you turn your fabulous pet into a social media millionaire? Pets with a huge online fanbase can reportedly earn hundreds of thousands of dollars, or even millions, a year. In 2014 numerous publications claimed that internet sensation Grumpy Cat, the feline with a frown from Phoenix, Arizona, earned $64 million in two years from her own line of products, including books and a film and sponsorship deals. Tabatha Bundesen, the cat's owner, later said the figure was "inaccurate" although she refused to disclose her pet's true income. Grumpy Cat, whose miserable expression results from the winning combination of dwarfism and an underbite, has a huge online following - 2.3 million followers on Instagram, 8.7 million on Facebook and 1.3 million on Twitter. The sour puss's career began when she was just a few months old when a picture was posted on Reddit, the story-sharing website, and users questioned whether it had been altered. A video was then posted on Youtube, which received more than a million views in 24 hours, according to Forbes magazine. Grumpy Cat's empire now includes a range of branded merchandise including mugs, clothing, pillows and greeting cards and she was recently cited as the most influential pet online in Forbes 2017 list. Grumpy Cat is not the only pet to achieve online success, although the earning potential for other owners who want to push their pets into the spotlight is likely to be less impressive - and hard work. Nicole Lane's three-year old pug, Barry, has a following of 41,000 on Instagram her earnings amount to a few hundred pounds for a Virgin Media campaign. Ms Lane, 29, started to post pictures of Barry on her own social media accounts when he was six months old but decided shortly afterwards to upload them to his own platform. She said she saw his account as &quot;a kind of photo diary&quot; to which she uploaded photos on a daily basis. She said she liked the idea of looking back on them as he grew older. As Barry's online following grew Ms Lane, who lives in Coventry, said she began to be contacted by companies that had found him on Instagram and offered to send her free products, such as dog treats and pet bandanas, to be included in her photos. Other firms have offered perks in return for videos of Barry that they can use in their promotional campaigns. Ms Lane said she had turned down companies that had offered her cash to share one of their adverts with Barry's followers. "They have nothing to do with Barry and I don't think direct adverts are particularly engaging. People don't follow Barry to have adverts pop up and I don't want to lose them," she said. Last year Ms Lane signed Barry up to PetLondon Models, a modelling agency, and he became the face of Virgin Media's online adverts. He has also recently featured in a Cineworld advert to promote the new film Kingsman: The Golden Circle. Ms Lane was paid £50 expenses for the Virgin Media audition in London and when he got the part she received another £250 plus £50 to cover food and travel. The Cineworld job, which was also in London, paid £200 plus £50 expenses. Thanks to her pet's popularity on social media Ms Lane is now able to negotiate fees with companies that approach her. She charges £35 for a photo post, £65 for two photos and £85 for three photos or videos, figures that she calculated on the basis of Barry's following. Audience reach is what drives the fee. Loni Edwards, founder of The Dog Agency in New York, which manages celebrity pets, said animals with millions of followers could earn between $10,000 (£7,459) and $15,000 per post because their reach was incredibly valuable to companies. But Ms Edwards, a former lawyer and "momager" to her own dog Chloe, a miniature French bulldog with 178,000 Instagram followers, said it could take years to build enough of an online presence before an owner could give up their day job. Animal "influencers" pets with access to a large consumer audience, began to be approached by companies with advertising agendas around three years ago, according to Ms Edwards, and are now far more valuable to firms than traditional marketing routes. Having large numbers of followers on Twitter, Instagram and Facebook is attractive to companies looking for a star for their latest adverts because it gives their campaign more reach, said Melody Lewis, director of PetLondon Models, as owners are likely to share the pictures with their pets' fans on their social media platforms. If you're keen for your pet to model, some companies may ask the agency for animals with a large social media following. Ms Edwards said: "Influencers are trusted on social media because they are real people. Their audience is tailored - their fans are choosing to follow them because of their content and brand." "She said pets with large followings on social media were especially worthy of companies' attention as animals "generate positive responses" and are "universally appealing." Ms Edwards said that, as with any trends, it was difficult to predict which animals would be in vogue from one year to the next. Ms Lewis said last year it was "all about the pugs and French bulldogs" while this year cats were all the rage. Q&A: how can I make my pet a social media goldmine? Does my pooch have to have a strange face? Don't worry if your precious pet doesn't have a snaggletooth grin, an evil stare or squint. The more unusual your pet is, the more memorable it will be, but a funny face isn't the be-all and end-all of animal fame. There's a place for the average Joes of the animal kingdom in showbiz. Who knows - next year could be the year of the generic Jack Russell or tabby cat. Generally your pet's popularity will depend on the quality of the content and how good you are at engaging with other users on social media. You'll need decent photos and videos that "incorporate your brand". Yes, you will need to think about what message you want your pet to embody. Is your chihuahua all about the glamour? Does your sausage dog like to travel? Is your pomeranian an absolute joker? This should be reflected in your posts. The content needs to be good quality and creative, but essentially it's ultimately a matter of trial and error. How Do I Build Up My Following? Social networking is really important, although Ms Lane said it took up a lot of time. You'll need to focus on engaging with other users on Instagram by commenting on their posts and tagging branded accounts. Your messages need to be genuine or it'll look like you're spamming other users, which will annoy them. Another way to get exposure is to collaborate with other users. For example, Ms Lane invited a number of dog owners from Instagram to Barry's birthday party and took photos of the event, which they could all share and tag each other in. Tag company accounts too when relevant. Ms Lane said taking photos was the easy bit - she just snaps Barry doing what he does. Her most popular post featured him peering through the bathroom door at her like "some weird stalker". Post on a daily basis - between one and three times a day is what to aim for. Ms Lewis said people liked following an animal's story so get creative with yours and start posting when your pet is young. Hashtags will also extend your reach and attract new followers. Look for the most popular ones. Ms Lane said she used #pugs and #pugsofinstagram for Barry's posts and checked to see what was trending at the time. Does my pet need special skills? If you want to push your pet into a modelling career it needs to be well behaved and should be able to sit and stay. If it has "talents" - hula hooping, skateboarding, singing - this could be a bonus, especially if the company is after a skilled pet for a film or advert. Ms Lane said she was that confident Barry could sit and stay at the Virgin Media audition but worried that he wouldn't be able to complete a number of additional tasks such as playing with a football on command. However, after a piece of chicken was taped to the football Barry excelled himself. Guest Authored By Amelia Murray. Amelia Murray is The Telegraph's senior personal finance research journalist. She joined from MoneySavingExpert. Follow Amelia on Twitter. “Does my pet need special skills? If it has "talents" - hula hooping, skateboarding, singing - this could be a bonus, especially if the company is after a skilled pet for a film or advert."